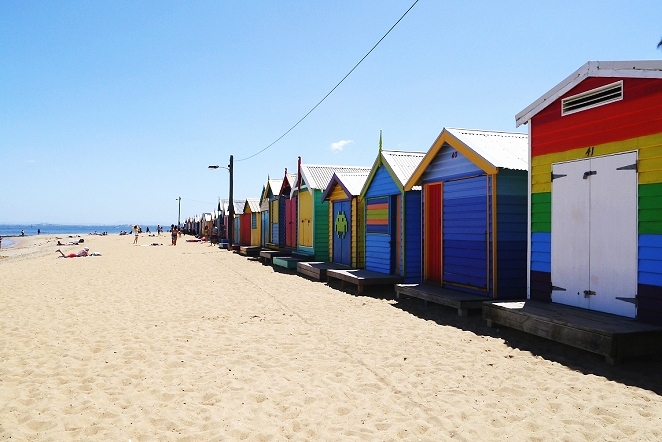 If you've seen any photos or articles about things to do in Melbourne you'll no doubt recognise the famous Brighton bathing boxes. 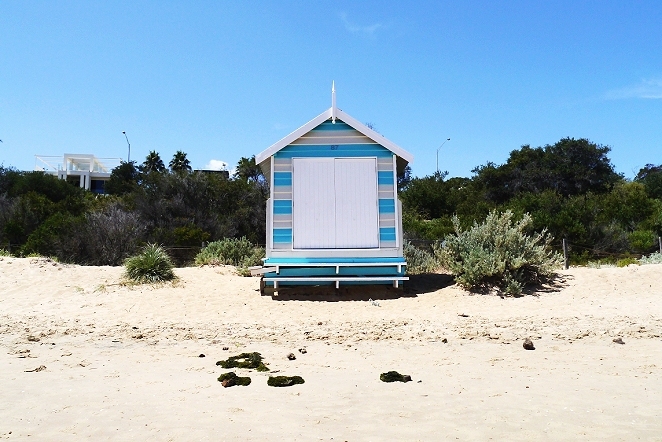 With 82 of them lined up along Dendy Street Beach in Brighton, they have become an iconic symbol of the Melbourne surburbs and are amongst the most photographed sites in the city and surrounds. On any given day down here you'll find hundreds of people happily snapping away at them and often conducting full-on photoshoots in front of them. And it's not just amateurs - they are a popular spot for wedding photography! What is it that makes these little structures so well-loved? I'd say it's a combination of the history and the aesthetics. Bathing boxes were common over a century ago. They were built as essentially large changing rooms in keeping with the morality of the Victorian period. Whilst nowadays we don't think twice about stripping off on the beach the Victorian's would have been horrified! All of the bathing boxes at Brighton are in keeping with the same timber framing and iron roofs from the Victorian period. In fact they are all uniform, with the only difference between them being the ways that the owners choose to decorate their exteriors. There is a great amount of creativity on display through some of these boxes - there's even one that features Katsushika Hokusai's famous painting The Great Wave - while others have chosen to stick to more traditional seaside colours. The only rules when it comes to decoration are that the boxes cannot be decorated to use for advertising. Now if you want to own one of these lovely structures you might want to sit down before we get to the cost. To be eligible firstly you have to be a Bayside ratepayer, secondly you aren't allowed to rent out your box and thirdly you can't use your box as accommodation - although this wouldn't be the greatest idea considering they have no electricity or running water. So the cost? Some of the most recently sold boxes went for $260,000. Better start the savings pot or just head down to Dendy Street Beach and admire them from afar like the rest of us. Welcome! Yes these are a Melbourne icon alright. Reminds me of a date who took me here on my first visit to the bathing boxes, about 30 years ago- wonder what he is doing now? A nice spot to visit. Great idea for an article Katherine. Who would have guessed the cost? I believe the current record price for one of these is $295,000. But you donlt have to own one of them to enjoy the spectacle of them.